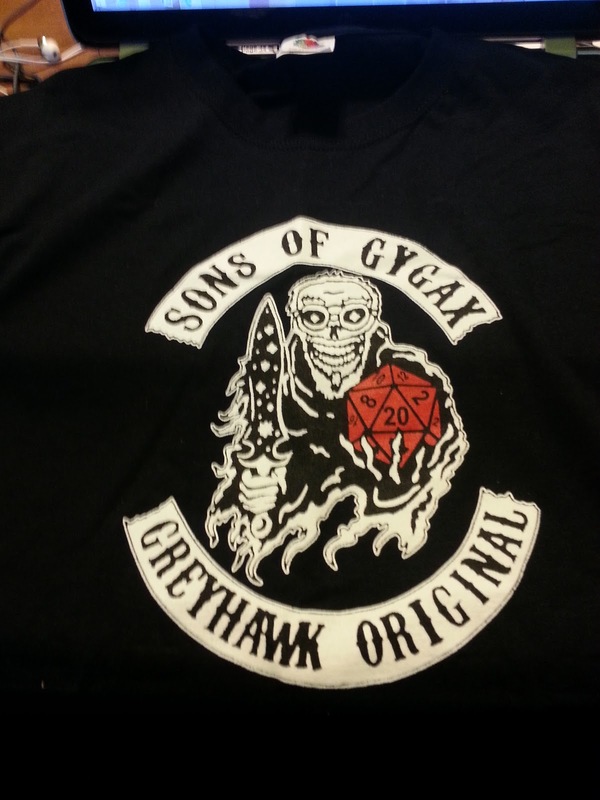 Greetings fans of Greyhawk! Today is the day I promote the latest episode of our ongoing Castle Greyhawk graphic novel. Check out page thirty-five to see some manic monster melee manuscripted by Scott Casper. 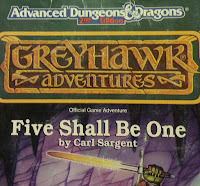 On our site you can also check the archives and follow the entire Castle Greyhawk story from the very beginning. Artist's Commentary: The battle has taken a turn in favor of the heroes! The more I draw this encounter the more I've learned about dragon anatomy and keeping a consistent look has been a challenge. I've also, probably belatedly learned how to give the dragon some emotion be it through the glance in panel one or pain in panel five. It's good to see Murlynd again. It's fun to think in hindsight how he hung back for most of the chapter just being the light bearer or as my friends call it "the sherpa". In truth he might be the highest level character in this bunch. I wondered while drawing this page what spell he was casting. Surely it isn't magic missile but that's the obvious choice. These arrows of force seem to have more oomph behind them is all I can observe. As always Tenser is overly brave and dramatic in using his unidentified wand. (do players even do that anymore?) Terik likewise throws caution to the wind just so he can get a lick in on the dragon. By my count so far, I think Yrag has done the least damage to the dragon. What will happen next? Check in soon to find out! Comic artist Jason Thompson is at it again, this time in keeping with WotC's love of the Underdark, he has drawn a remarkable walk-through poster of the classic module Vault of the Drow. Jason has done many many other wonderful maps such as this which I've covered in years past. Now check this one out too! 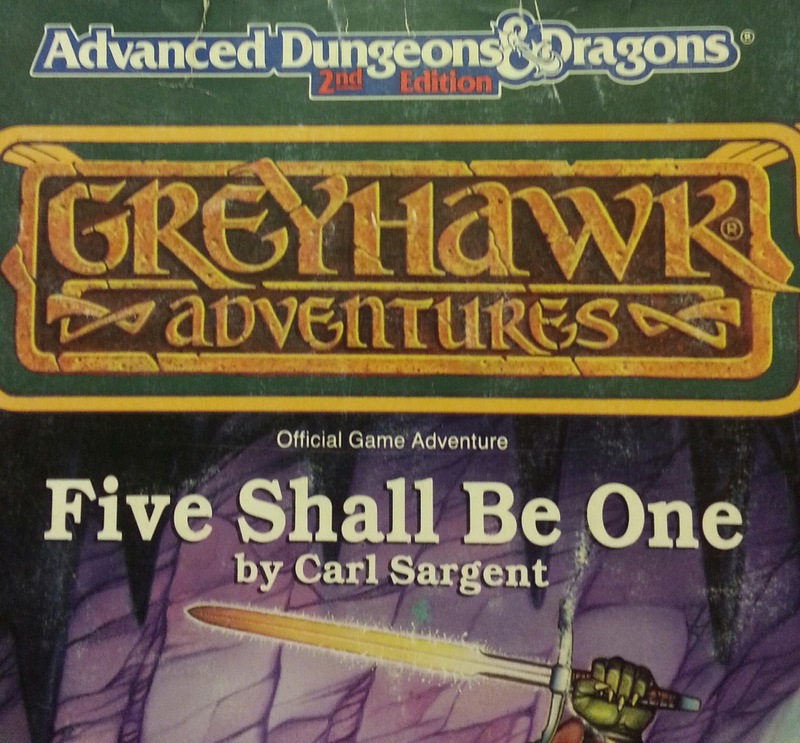 Welcome again fans of Greyhawk! 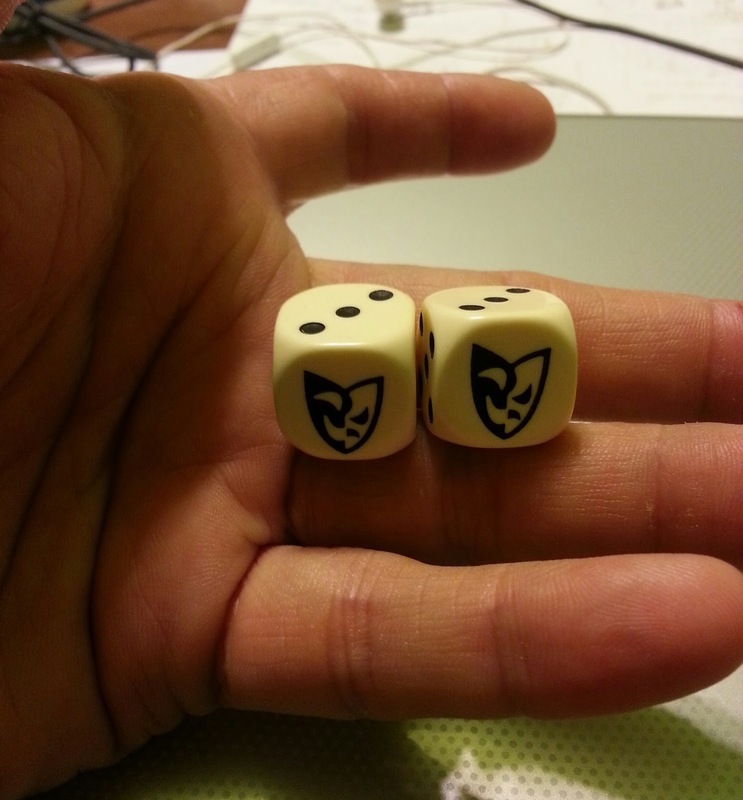 Today I'm happy to plug the latest episode of our ongoing Castle Greyhawk graphic novel. Check out page thirty-four to see some breath-taking battles conjured up by Scott Casper. 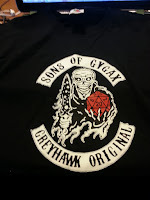 On our site you can also check the archives and follow the entire Castle Greyhawk story from the very beginning. Artist's Commentary: The more I draw this dragon, the better it seems to get. The chapter has got to end soon though, so I can't get too attached to this ol' ice wyrm. He doesn't even have a name! I think a lot of the artistic weight to these panels comes from the fact I've been watching The Hobbit extended edition movies and at the same time finished playing WotC's Rise of Tiamat. Any dragon worth his salt, like Smaug, just bully their way around a movie screen or comic page for that matter. It's fun then to see how Scott manages to squeeze our heroes into the scene while the white dragon is flailing about in all directions. With that in mind, it's also good to have dungeonmaster experience in composing these types of comic scenes. Positioning is good to know. Terik is on the left, Robilar to the right, Serten behind and well, Tenser was up front but bailed. Speaking of bailing, where did Murylund go?